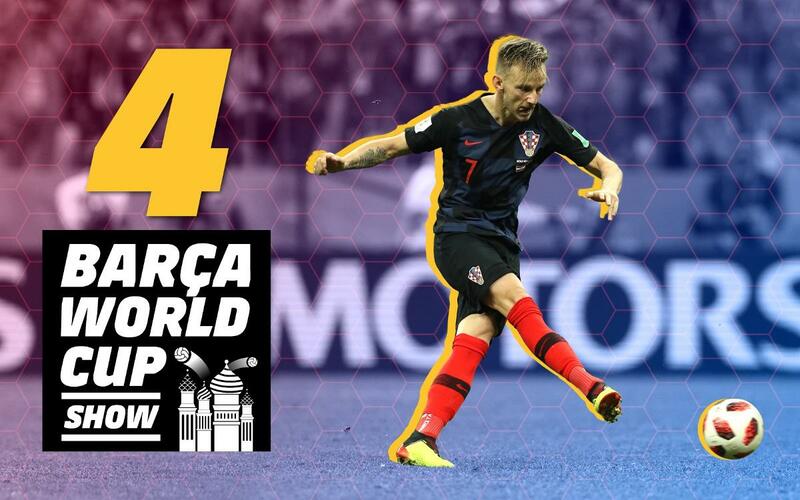 Seven Barça players on five different national teams have made it through to the last eight of the 2018 World Cup in Russia! On episode 4 of the #BarçaWorldCup Show, Patricia and Mike reveal which Barça players are still alive. A lucky fan show us who he thinks will win it all. Georgina and Aleix make a new prediction for the quarterfinals. And the Wall Ball Challenge has a special twist. Don't miss all that and more!